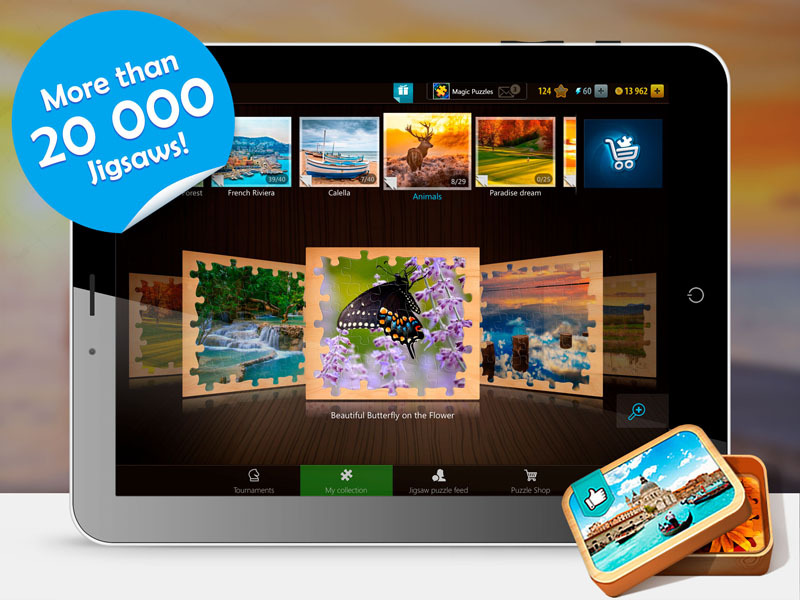 A colorful world of jigsaw puzzles now fits in your own pocket! 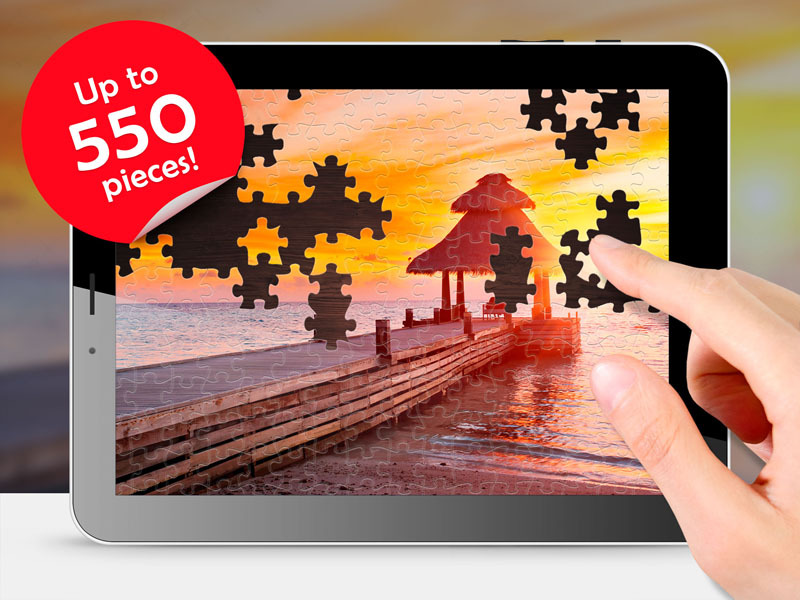 Try to avoid stress and relax after a long day — within a grand collection of more than 20,000 HD pictures transformed into puzzles (it’s up to you to piece them back together) it’s more than possible. 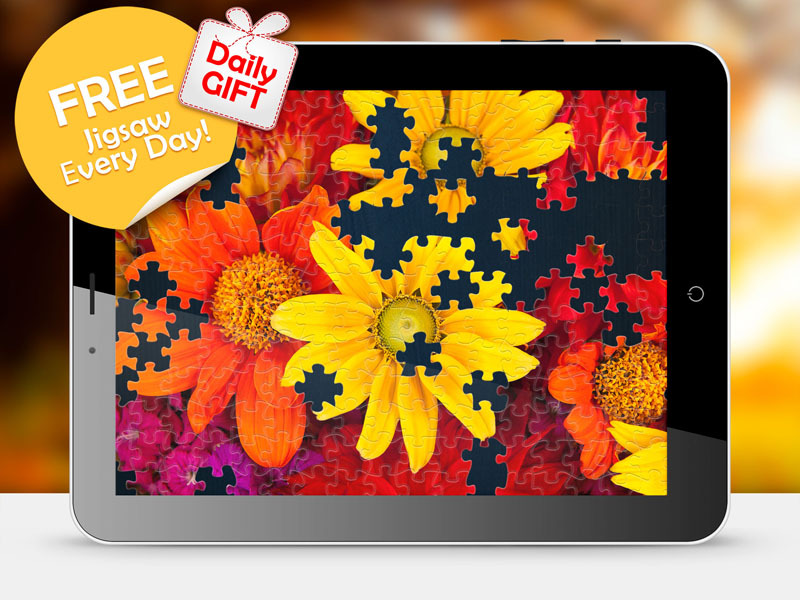 Once tried, Magic Jigsaw Puzzles will shortly become a favourite pastime for you and your family. Why? 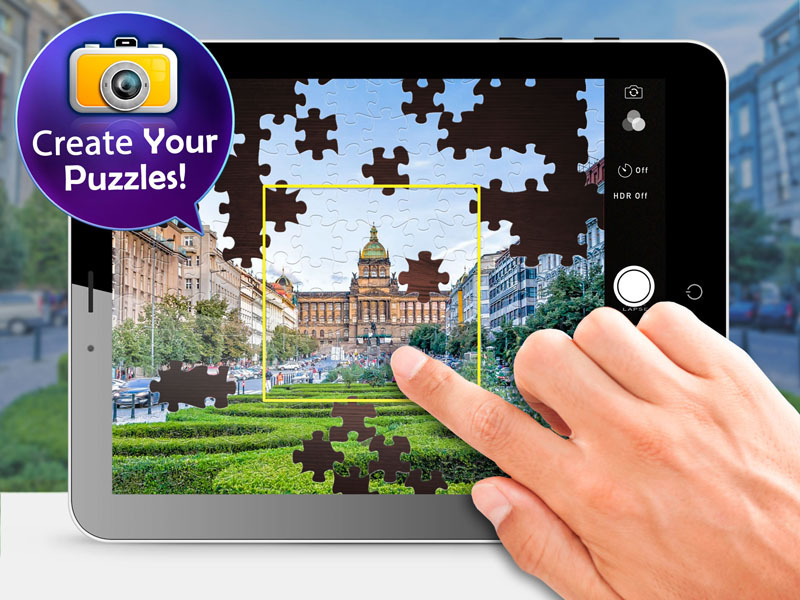 Why not to create a unique personalized puzzle using your own photo or image? Or choose a melody you enjoy most taken right from the in-game musiс collection to go along with your stress-relieving and leisured play?! 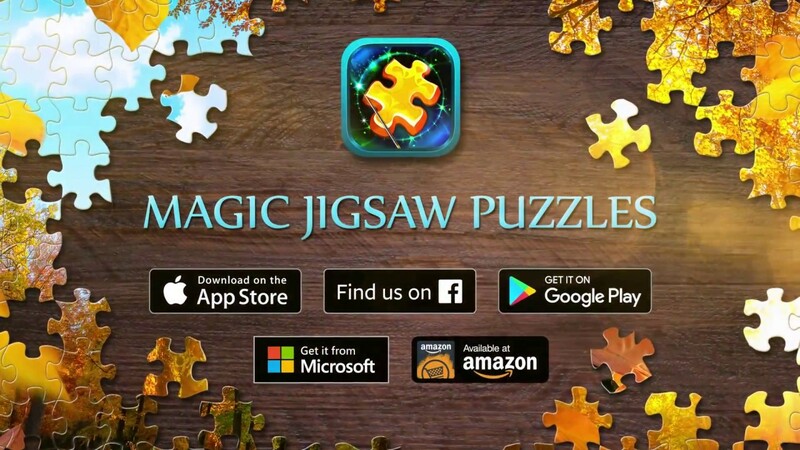 Not to mention your personal Magic Puzzles Profile where you’ll find all the puzzle packs you have downloaded, as well as restored packs you may have accidently deleted. That’s one essential feature in a digital world! 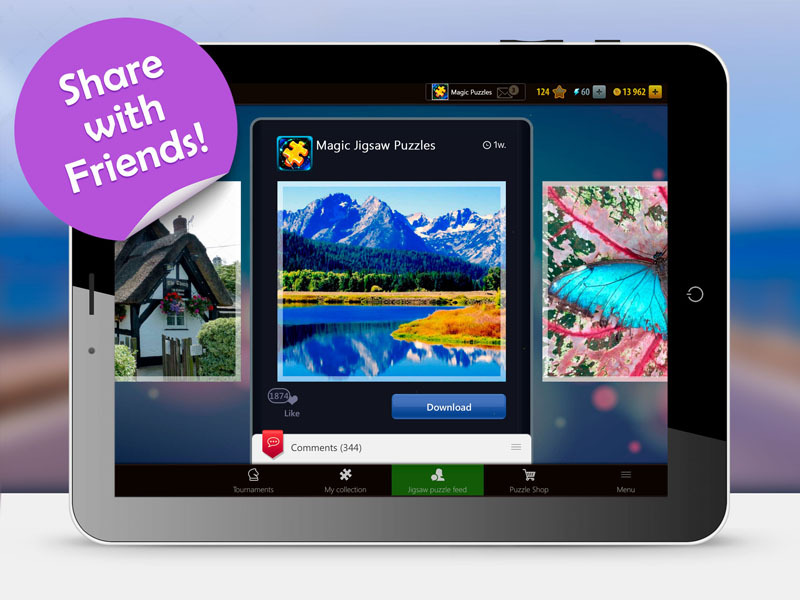 Finally, you can share your best puzzles with friends or with the friendly Magic Jigsaw Puzzles community on Facebook! – Ravishing jukebox: choose the right music to suit your mood (and it will only get better)! 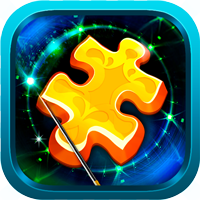 Start doing Magic Jigsaw Puzzles to get a well-rounded image of the game and piece together the most important picture ever!